Town edged out East Lincs Combination Division Two rivals Sutton Rovers 1-0 in Saturday’s semi-final to set up a clash with champions Susie Star who were 2-0 winners at Division Three champions Barnoldby. On Saturday, Sutton will host Susie Star in the first of their two-legged semi-final in the East Lincs Cup (kick-off 2.15pm). Louth Old Boys Reds saw off Alford Town Reserves to move back into second place in Group A of the Tom Sandys Trophy. Alford’s second string have just one point from six games in the group stages, while the Louth aide have taken seven points from their opening three fixtures. Goals from Jordan Tebbs and Alfred Vickers settled Saturday’s tie. On Saturday the Reds will look to closer the gap on leaders North Somercotes when they take on clubmates Louth Old Boys Vets (kick-off 2.15pm). 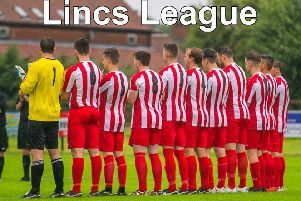 The weekend’s remaining fixture involving out East Lincs Combination sides sees Alford Town Reserves complete their league programme when they host AFC Grainthorpe in the final Division Three fixture of the season. Alford will finish ninth whatever the outcome, but Grainthorpe will move up to fourth with a win. Kick-off is 2.30pm.